Rules for Redemption Los Cabos Magazine's Prepaid Vouchers Discount Program, Cabo San Lucas, Los Cabos, Baja California Sur. Rules for Redemption Los Cabos Magazine's Prepaid Vouchers Discount Program, Cabo San Lucas, Los Cabos, Baja California Sur. Los Cabos Magazine’s Prepaid Vouchers Discount Program, Cabo San Lucas, Los Cabos, Baja California Sur. Discounts are available using the popular Los Cabos Prepaid Vouchers Discount Program. There are a few important Rules for Redemption and use of our Prepaid Vouchers. 1. Each one of the Prepaid Vouchers must be signed by the authorized person or stamped, by the restaurant or business, and have a serial number. This process will be taken care of prior to you receiving the Vouchers. 2. Prepaid Vouchers are valid only for use at the business shown on the front side of each Voucher. 3. 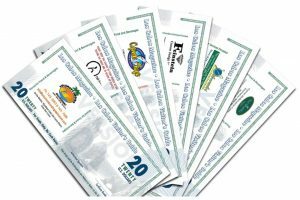 Prepaid Vouchers must be presented before placing any order at a bar, restaurant, activity, or making any hotel reservation, or rental car reservation. If Vouchers are not presented prior to ordering, they may not be accepted or this may cause confusion. Presenting your Voucher in advance helps speed up the process of paying the bill when you are ready to leave. Sometimes a new server may not know about the program and has to ask the manager. Please note that if you already have hotel reservations and have paid a deposit or paid the full rental amount you should not expect the hotel to accept the Vouchers and give a refund of amounts paid to them. If you have paid only a cash deposit, the hotel may accept the Vouchers for the balance remaining. 4. Prepaid Vouchers are valid for service provided and tax. Tips are not included. 5. Prepaid Vouchers work just like cash or traveler’s checks, but they have no cash value. They must be used in exchange only. They cannot be redeemed for cash at the participating business. 6. When the amount due is less than the value of the Prepaid Voucher, there will be no cash “change” for the difference. If the amount is larger than the Prepaid Voucher, the difference must be paid by the bearer in cash or credit card (if normally accepted by the business). 7. When used, bearer must sign each Prepaid Voucher on the reverse side. 8. Groups: Los Cabos Magazine’s Prepaid Vouchers are not intended for and are NOT VALID for groups or parties of more than six (6) persons. Please do not try to have several persons within the group or party buy vouchers to get around the group restrictions. It is also important that you advise the restaurant or business in advance that you will be paying for their services with our Prepaid Vouchers. This helps to avoid confusion or delay when you are ready to pay the bill for your dinner or activity. 9. Reservations: There is less confusion if reservations are made directly with the business providing the service. We will provide as much information as possible to make that process easier. 10. We reserve the right to limit the amount of Vouchers that can be purchased for a particular business. Unused Vouchers must be returned to our office no later than 120 days from the date of purchase for exchange or refund. We will not be able to accept voucher returns received more than 120 days from the date of purchase. Please read our Refund Policy for more specific terms and conditions. We will be able to exchange or give a refund for any unused Vouchers if they are returned to our office within 120 days from the date of purchase. 1. Vouchers must not be damaged, must be in saleable condition, and not signed on the reverse side. 2. Unused Vouchers must be returned to our office no later than 120 days from the date of purchase. We will not be able to accept returns received after 120 days from the date of purchase. 4. A copy of the sales order or invoice, or invoice number and date of purchase, must be included with each return. 5. Refunds are handled as quickly as possible but can take up to 7 to 14 working days to process, depending on the amount of time required for mail delivery. 6. Please send us an email with a list of the Vouchers and the amount you are returning, when the Vouchers are mailed, with any tracking information. We can then put you on the list of refunds that are pending. 7. Refunds are given in the manner in which payment was received. 8. Unused Vouchers may also be exchanged for other vouchers for different participants only if the Vouchers being exchanged are returned with 120 days from date of purchase. NOTE: We do not suggest that you hold any unused vouchers for your next trip to Los Cabos. Our participants vary from month to month, and your unused Vouchers from this year may not be accepted next year if that business has closed or no longer participates in our program.